Former Defense Minister Moshe Yaalon lashed into Naftali Bennett. "The blood of the Duma attack is on our hands." 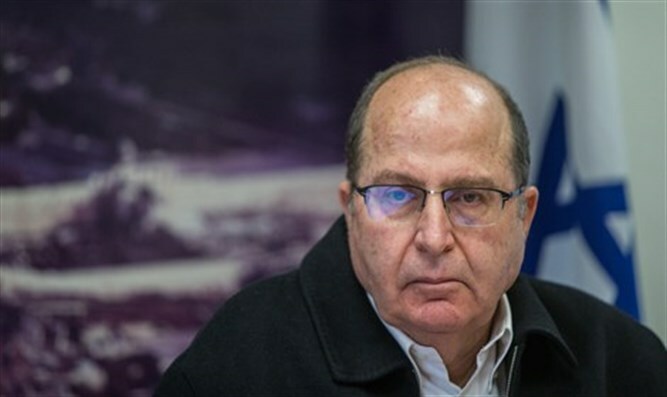 Former Defense Minister Moshe Yaalon lashed into Education Minister Naftali Bennett, blaming him for the 2015 'price tag' arson attack in Duma that killed the Dawabshe family. Yaalon also ripped Culture and Sport Minister Miri Regev, and compared her to Turkish President Racep Erdogan. Yaalon condemned Bennett's behavior at the demolition of Bet El's Draynoff Homes in 2015, which the High Court had ordered to be destroyed. "When soldiers came to evacuate the houses (the homes of Darinoff in Beit El) and young people threw stones and bags of urine at them, the Education Minister stood there and blamed the Supreme Court," Yaalon said, in a recording provided by the Galei Yisrael radio station. "We should not be surprised later when they cut Arab olive trees or burn mosques and churches or even family in Duma," Ya'alon continued. "The blood of the Dawabsha family in Duma and of the Henkin family who was murdered in a revenge attack is on our hands." Yaalon was referring to the arson attack in the Arab village of Duma that killed three members of the Dawabshe in July 2015. Yaalon also attacked Culture and Sport Minister Miri Regev, contending that the ruling Likud party mimics Turkish President Racep Erdogan. "When I hear her say that the government should control the media, I shudder." Yaalon said. "Even the coalition chairman MK David Bitan says that Likud needs to control the media. Even Erdogan does not dare say such things. He wants to, but he knows it's not right to say." “The prime minister must resign today, immediately” Yaalon said at a cultural event. "There is a lack of confidence in the leadership. If the considerations from above are not clean, I am not positive that there is not also an effect on IDF enlistment." Yaalon and Naftali Bennett have been at loggerheads ever since they sharply disagreed over how to handle Hamas in 2014's Operation Protective Edge. Bennett lobbied for the IDF to destroy the Hamas terror tunnels, despite the heavy opposition from Yaalon, who favored conducting the war through air strikes.